BPA free. PP and Tritan. 700ml capacity. TPR bottom. 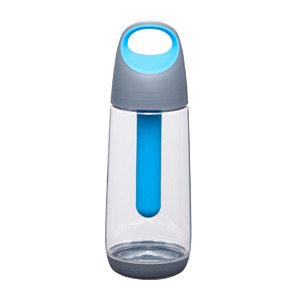 Blue stick which can be filled with water and separated from the bottle and placed in freezer.